Nanosaurus Skull. Dinosaur fossil Replica. Nanosaurus is the name given to a genus of dinosaur from the Late Jurassic. Described by Othniel Charles Marsh in 1877, it is a poorly known ornithischian of uncertain affinities. 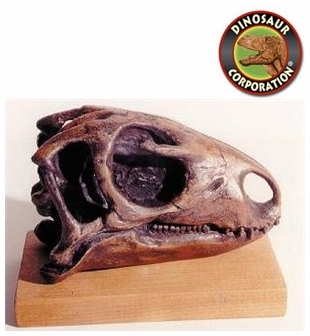 Its fossils are known from the Morrison Formation of Colorado and possibly Wyoming.